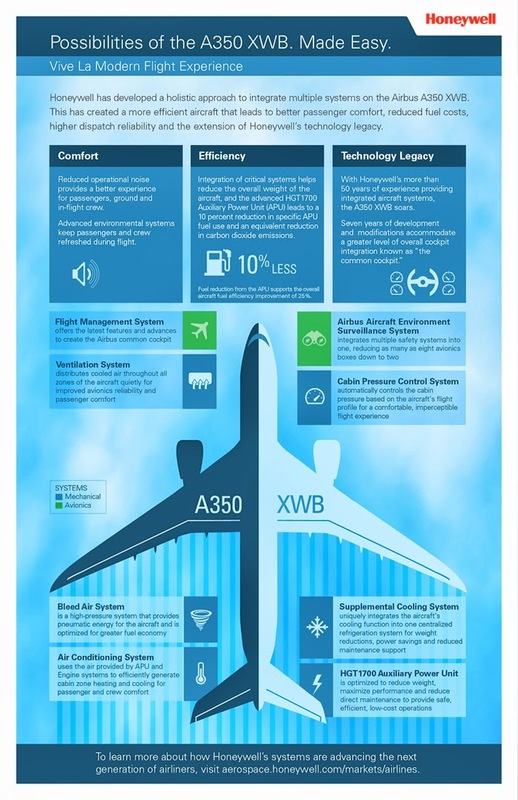 A350 XWB News: Honeywell technologies and systems onboard the A350 XWB. ELT is not included in any of the work packages for the A350. Honeywell technologies and systems onboard the A350 XWB. ELT is not included in any of the work packages for the A350. 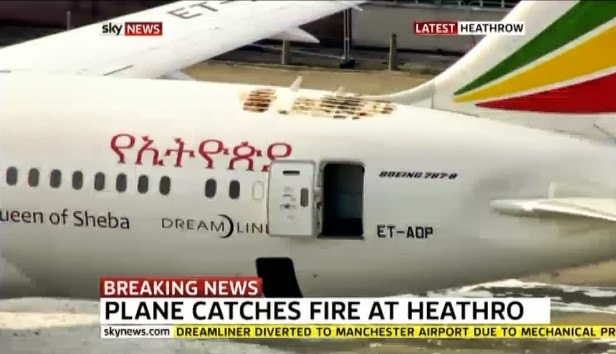 Regarding the (ELT) Emergency Locator Transmitter, which damaged an Ethiopian Airlines Boeing 787 on 12/July in Heathrow, it is not included in any of the work packages for the A350. It will probably be Buyer Furnished Equipment, meaning, airlines will be free to chose any ELT they want on their aircraft, including Honeywell's. The Honeywell RESCU 406 AFN is installed on about 6000 planes, Airbus as well as Boeing. The ELT’s power is not tied into the aircraft’s electrical system at all. It uses lithium-manganese batteries which have, until this investigation, never displayed any tendency toward overheating and fire. It is being investigated if a pinched wire in the unit could have sparked a short circuit, igniting the battery; according to sources close to the investigation the remnants of the RESCU 406AFN showed evidence of a kink in the wiring which was likely related to its original assembly rather than something that could have occurred during its installation in the airframe. Aviation Safety Agencies have issued an airworthiness directive (AD), mandating all airlines with aircraft that carry particular types of Honeywell Emergency Locator Transmitters (ELT) to check the units’ wiring. Three 787s have so far been found to have damaged or pinched ELT´s wiring. The AD covers 22 types of aircraft—all Airbus and Boeing types, as well as ATRs, MD-11s, MD-80s and MD-90s. The UK Air Accident Investigation Branch investigation into the incident is still continuing. 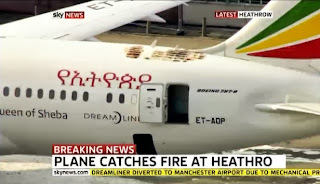 Based on the article “Pinched Wire May Have Caused 787 Transmitter Fire” published in Aviation Week and based on the article “Europe follows Canada’s lead on Honeywell ELT checks” published in ATW.